I WAS SURROUNDED BY SUPERHEROES, monsters, and even a refrigerator, but what impressed me most was a nine-year-old girl. Pacing assignments at 7:00 a.m.
Last Sunday I paced the Wicked Halloween 10K, one of the races put on by the Kona Running Company. 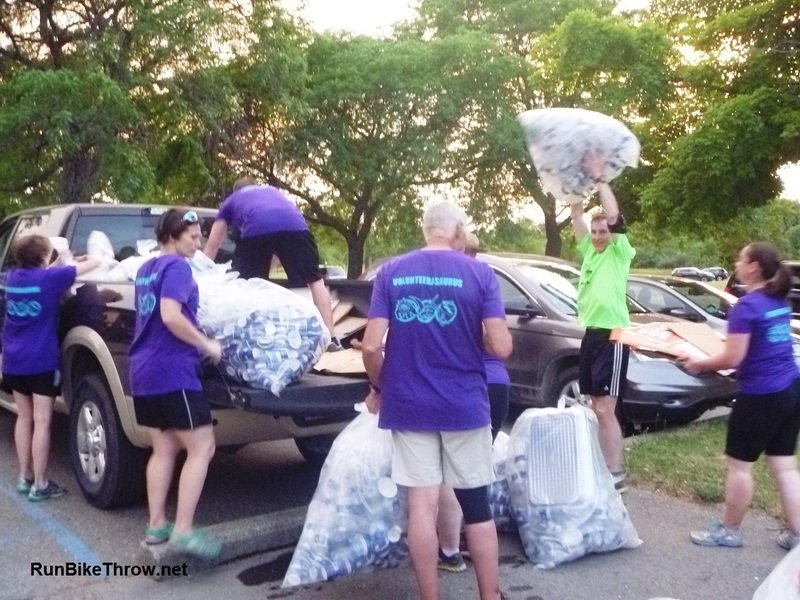 I enjoy pacing their events for many reasons – the large turnout, the cool shirts, a great location (downtown Plymouth, MI) and the energy of all involved. They are also unusual in providing pacers for 5K and 10K distances, something normally reserved for the half marathon and longer. But I hear compliments for the pacers at every event, so they’re onto something. Never mind “first time” – how does anyone run *at all* in those things? Eventually I found a few near the back, and after congratulations and photos, off we went. But I got distracted looking at the costumes and lost them at some point. After futile attempts to find more first-timers, I declared a few people to be “Honorary 1st Time 10K” and ran behind them holding the sign. They didn’t seem to mind. 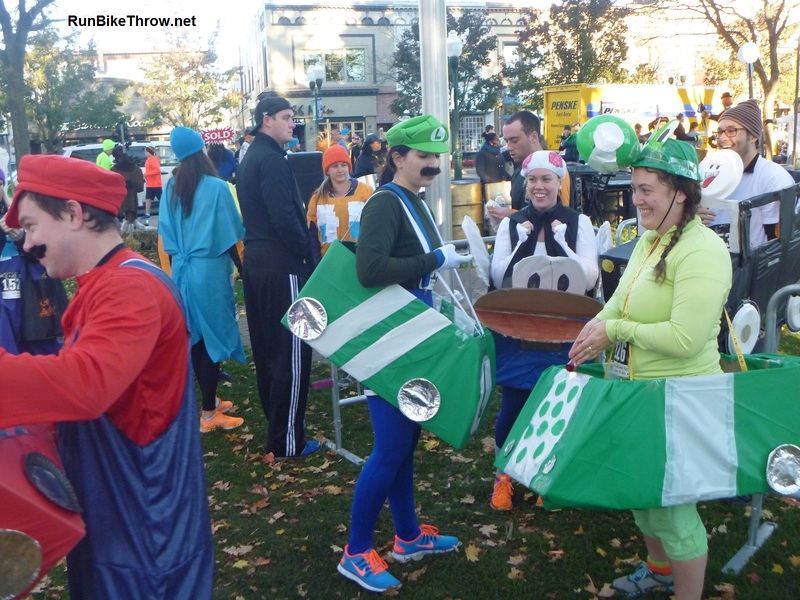 Heck, they got some extra kudos from the spectators. One of the many cheering sections along the way – another nice touch. 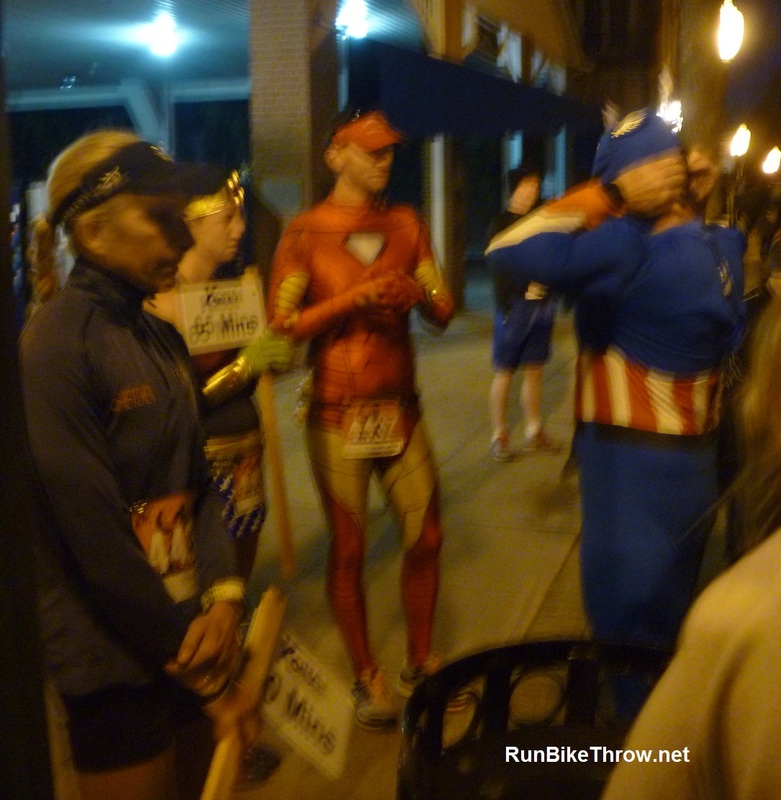 At the water stop at the halfway mark, I tried again to locate some genuine first-timers. Finally, I found someone. Yes! My life had meaning again! Then I found a couple more – even a dog. And then I came across this young lady. 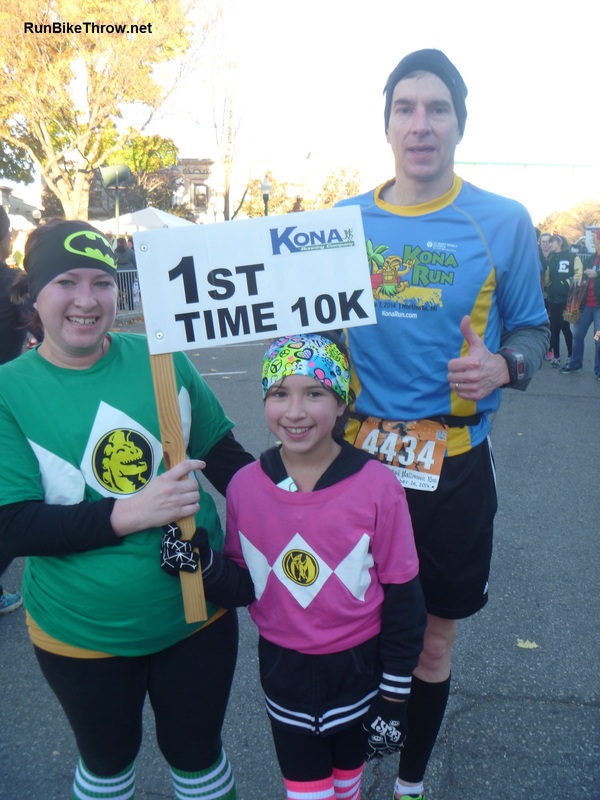 Kaney was running her first-ever 10K, but watching her I wouldn’t have guessed. 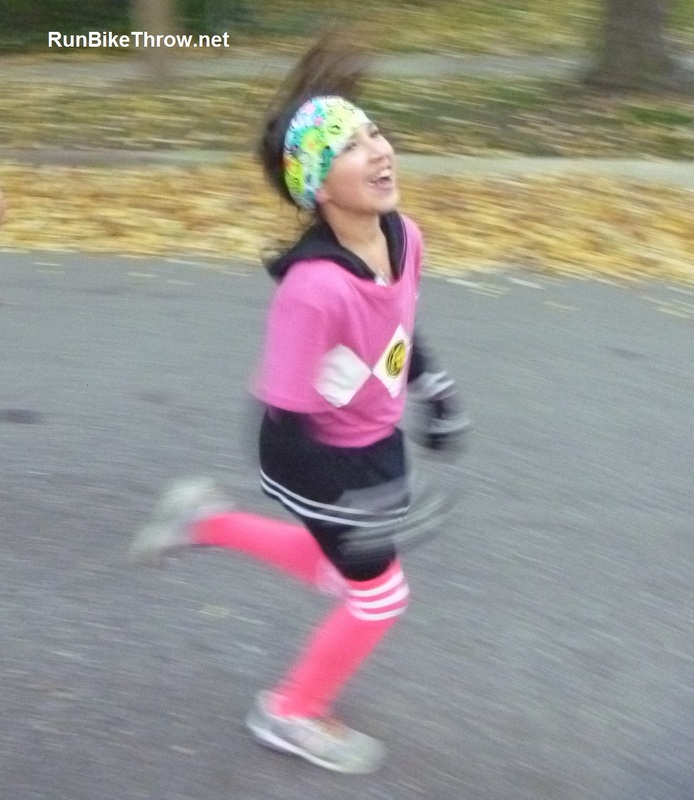 Her pace was steady and her form was excellent. And she was obviously really enjoying herself . “This is what running is all about!” I wanted to say to the adults with her. “Having a good time!” And I did say it, actually. I stayed with them the rest of the way, and got this photo at the finish. Another good event on another beautiful day. And downtown Plymouth is a fun place to wander around afterward, with small-town charm and at least two excellent non-chain coffee shops – the Coffee Bean and Espresso Elevado – easy walking distance from the park. 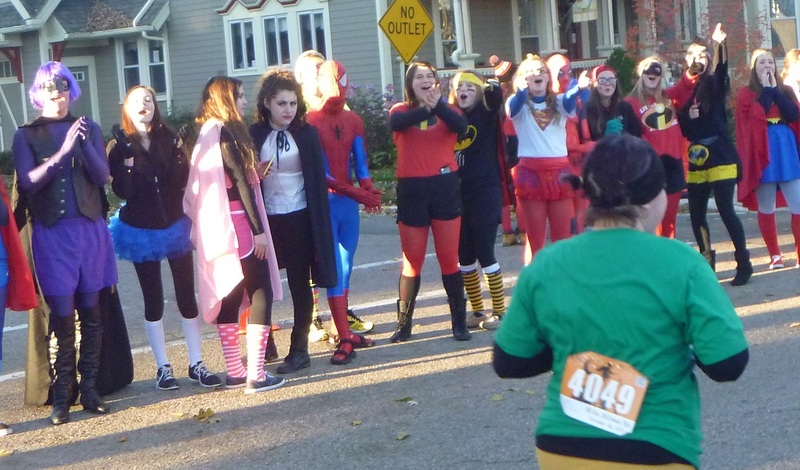 Looking forward to pacing The Chocolate Run in a few weeks! Oh, yes, and here’s the refrigerator. 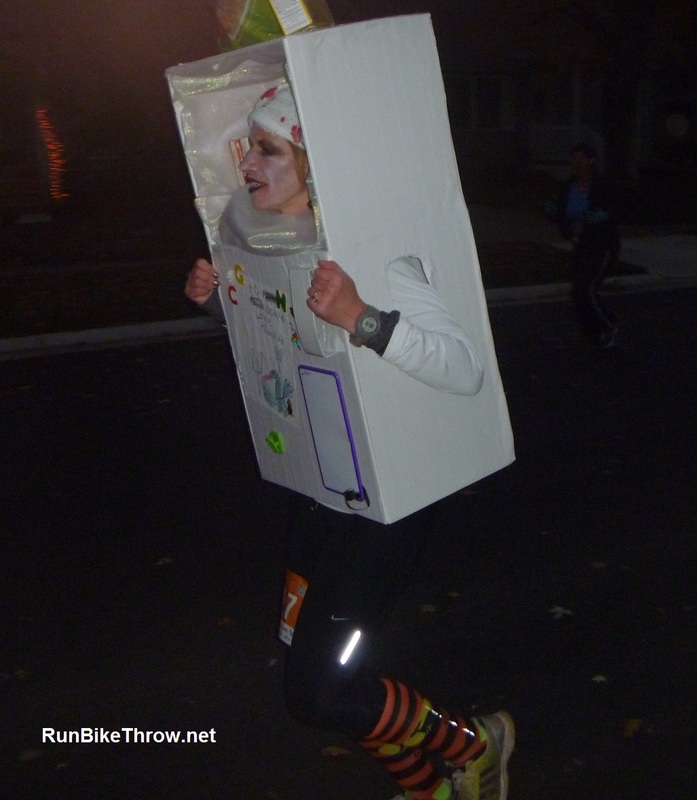 This lady is known for her elaborate costumes! 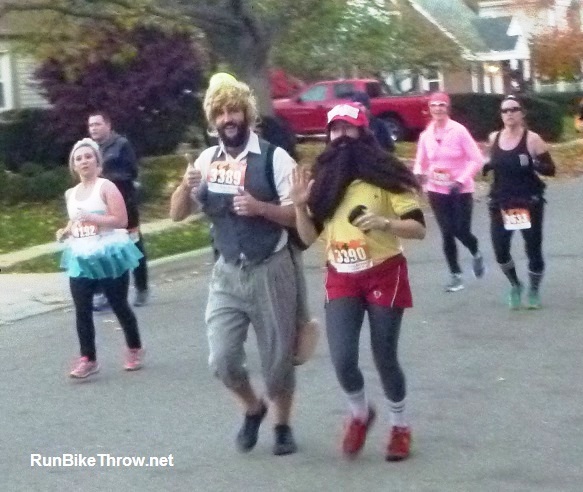 This entry was posted in Uncategorized and tagged 10K, first time, fitness, joy, Kona Running Company, medical, pacing, plymouth, Running, Wicked Halloween run. Bookmark the permalink.